We all know that the word 'air' is very common and everybody on the planet will know what air is! Air is very essential for survival. For everyone, it has become a medium for communication and of course, no air no life! In this article, I will be sharing a concept which most of you know, few of you might have used, and rest will say WOW. There was a time where we used to carry huge Adaptor/Eleminator/AC-DC Converters, which had a huge transformer and would heat up if we used it for a long period of time. We still have wired telephone networks and boadband connections, sometimes in few places the exchange box/telephone pole looks more messy than bushes, lots of copper cables get wasted while giving electric supply for a new building. High tension wires would hang around just like swings back then, huge CRT monitors were used for computers. But somehow we have managed with these things. As ages passed, the technology also boosted at 10X speed. The number of transistors in a chip increased, simultaniously the size became very compact in such a way that now, nanites are used to cure cancer cells in a blink! Later on, the eleminator got converted to a small charging unit, wired telecommunication to wireless mobile phone communication, Wired broadband to optical fiber etc. Still, the innovation to make everything more compact didn't slow down. We still want more compact devices. So, everyone in the world started thinking of using a source which is available in plenty on earth. I am sure you thought about water. But you will be shocked and will accept if I tell you its AIR! Yes, Air is now the platform for every technology industry in the world. Everything in the world is going wireless. 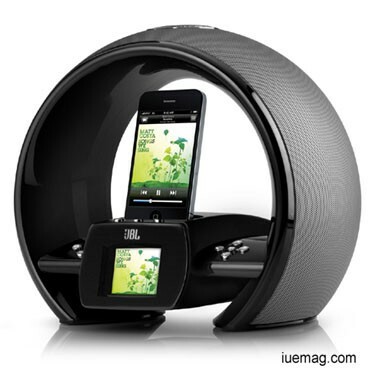 One of the latest wireless technology and the one in trend is Wireless Charger. A simple and the basic concept of electromagnetic flux is used in this technology, where in you need not connect your electrical device to any AC sockect via a charger. All you need to do is just keep your device on a plate/stand. It will start charging automatically. I once had seen a demo of this particular technology in TEDx Talks. 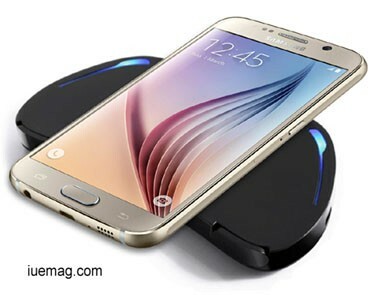 Within a span of one year, that project is now a product, and Samsung S6 uses this technology to charge the mobile. This is something with respect to power. But when it comes to communication sector, radio waves are used to connect people beyond boundaries. In the same communication sector, broadband is now boosting with optical fiber technology, which is still a wired connection. For this, engineers have come up with an idea of using naturally and artificially available light as a channel for data exchange. Looks insane, but scientists are able to achieve 10Tbps speed using light as medium for data communication, which is 10 times faster than Optical fiber technology. The research doesn't end here. Companies like Qualcomm go on innovating new technologies to charge electrical vehicles wirelessly. Few other firms are working on transferring high power electricity without wires. Many others are working on hologram displays, where everything that come in television as 2 dimensional image, will now be a 3D image/video-that too displayed on air! In a nutshell, There is no end for the innovations that can be done when air is a platform for everything! Its a universal truth that innovation of new technology leads to some more problems, and then another innovation takes place and the cycle repeats. Using technology will surely affect the environment, electronic devices emits lots of CO2 in the air.But, this can be easily controlled by growing more trees. Afterall, who are engineers? We are not just developers or designers. We must be the change makers, both technologically and socially. I feel proud to call myself an Engineer. What about you? What are your views on Wireless Technology? Let' discuss in the comment section below! Any facts, figures or references stated here are made by the author & don't reflect the endorsement of iU at all times unless otherwise drafted by official staff at iU. This article was first published here on 3rd September 2015.